This modern autumnal tapestry "Autumn Medley" is form the work of artist Keith Mallet. The works of Mallet are colorful and modern, and in this piece we see a reflection of the season of Autumn. Green and brown maple and mountain tree leaves are seen along with a bay scene of water and mountains, together with calligraphy. The color palette is classic autumn with the burnished reds and browns. 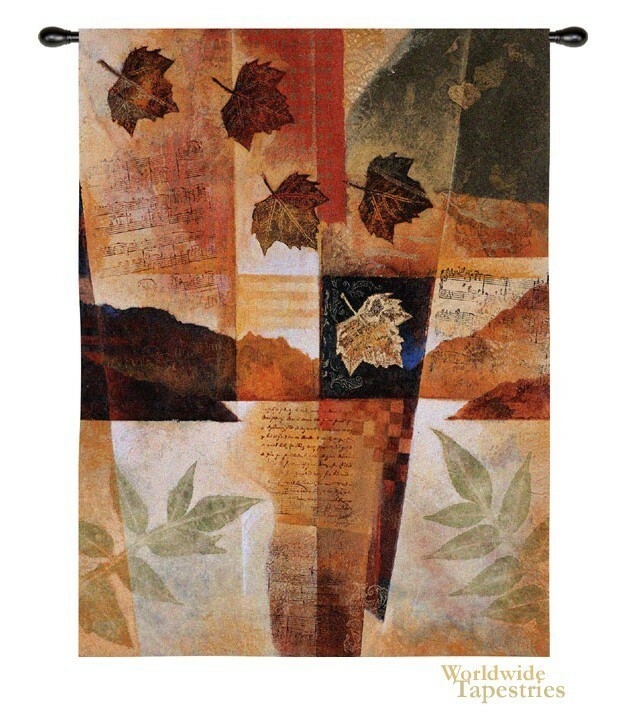 This modern art tapestry "Autumn Medley" is backed with lining and tunnel for easy hanging. Note: tapestry rod and tassels, where pictured, are not included.